Students in Yuroke will be big winners as part of the Andrews Labor Government’s additional funding for school uniforms, shoes, books and stationery through State Schools’ Relief (SSR). Member for Yuroke Ros Spence has welcomed the biggest ever investment in women’s participation in sport by an Australian state government. Multicultural seniors organisations in Victoria will receive a $6.8 million boost over four years through a new round of grants. Local not-for-profit groups dedicated to reuniting pets with their owners, rehoming lost pets, running dog socialisation classes and providing responsible pet ownership education are now eligible for grants thanks to the Andrews Labor Government. 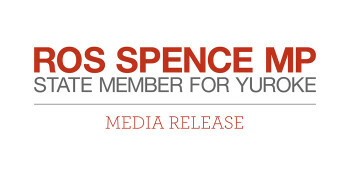 Member for Yuroke Ros Spence urged local non-government and not-for-profit organisations..